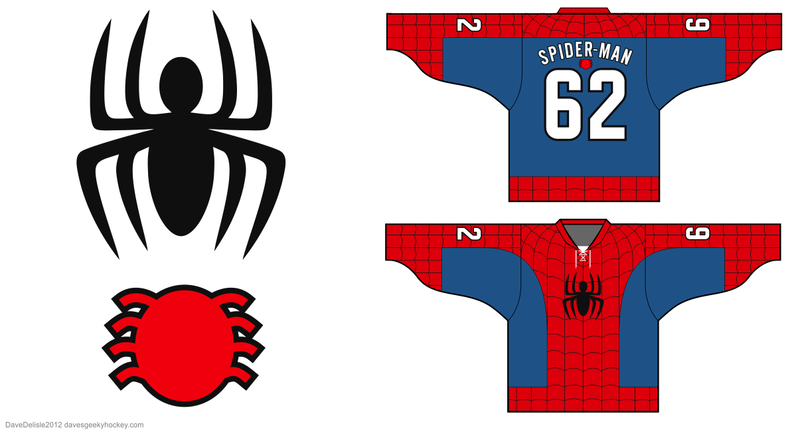 Posted on September 25, 2012, in Geeky Jerseys, Hockey Jersey Design and tagged Comics, davesgeekyhockey, Geeky Hockey Jerseys, Hockey Jersey Design, Marvel, Spider-Man, Superhero, Venom. Bookmark the permalink. 20 Comments. rinkegear + kevin smith = shut up and take my money. Jersey based off his movies would be amazing. Not just the ones he has done in the past but some like you have done. his contact information is there as well. Good Luck! Thank you! This information is much appreciated. I will try to use this power responsibly. Dude how much for one of these awesome jerseys. And do you have a goalie cut? To quote the above: “Zero plans to make these available.” When I do offer jerseys Goalie cut is available. def want a goalie version of the spidey with web! I’d love that Spider-Man! I think the webbing looks pretty awesome, at least on paper. Good job man, long time lurker! I dig all of the designs. Slick. I would order 4! 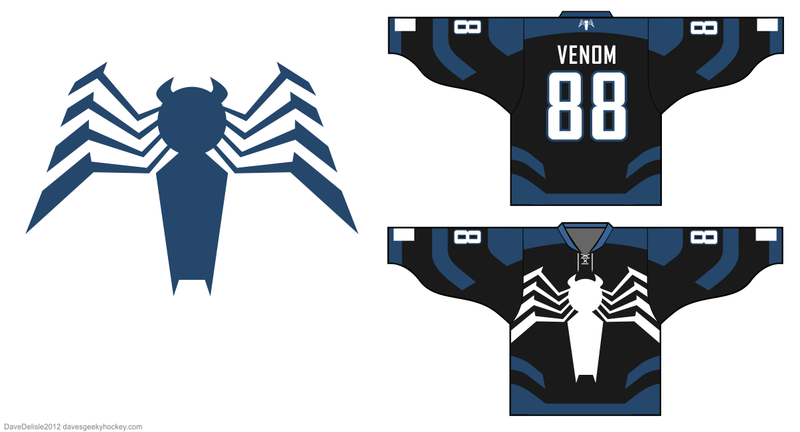 Two of each (spidey and venom), one to wear as clothing, the other goalie cut for the ice! Spidey with the web for sure, and the venom one is great as well!! I’d love one of each to wear out on the ice! I’ve got a half Spidey-half Venom mask, and all of my gear is matching red and blue. This would be sick! I think the Venom one looks BA. I think it would get a good response; I would buy at least two. I’m so mad at myself for finding your site too late, I ended up missing my window for the Spider-Man jersey twice! I literally emailed Geeky Jerseys to ask for a Spidey one and missed it.